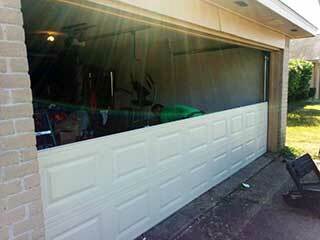 When a garage door stops working, it can cause a lot of disruption for the household. No-one wants to deal with a stuck door, or one that they have to open manually, first thing in the morning or late at night. We understand how important it is that you get your door repaired quickly by professionals you can rely on. When carrying out repairs, it’s vital to address the underlying issue. We don’t just treat the symptoms of a broken system - we take the time to understand exactly what caused it in the first place. This means that when we fix a problem, it stays fixed. You won’t find the same issue coming back to hassle you again – and we make sure it won’t! Your door is like any complex machine; when one part fails, extra strain can be placed on other parts. That’s why our technicians always make sure to look for signs of stress across the whole system - we'll highlight any causes for concern and give our recommendations for next steps. As well as checking for damage and malfunction, our professionals will look for areas where professional maintenance may make a difference. In our experience, one of the leading causes of garage door failure and wear and tear is a lack of proper maintenance. By ensuring regular service visits, you can ensure that the various parts stay lubricated, properly adjusted and working optimally. Once we’ve fixed your system, our team will carry out a series of thorough real-world tests to ensure your door is working reliably. By carefully assessing your door as it operates, our technicians will confirm the repair has fixed the issue and that it is unlikely to reappear any time soon. Our professional technicians can handle any problem, large or small, and are ready to help you out with any issue you're having. Whether your spring needs replacing or your opener is playing up, contact us today at Garage Door Repair Puyallup to find out how we can help.